Some on the left want to protect college students from speech and ideas that offend them. 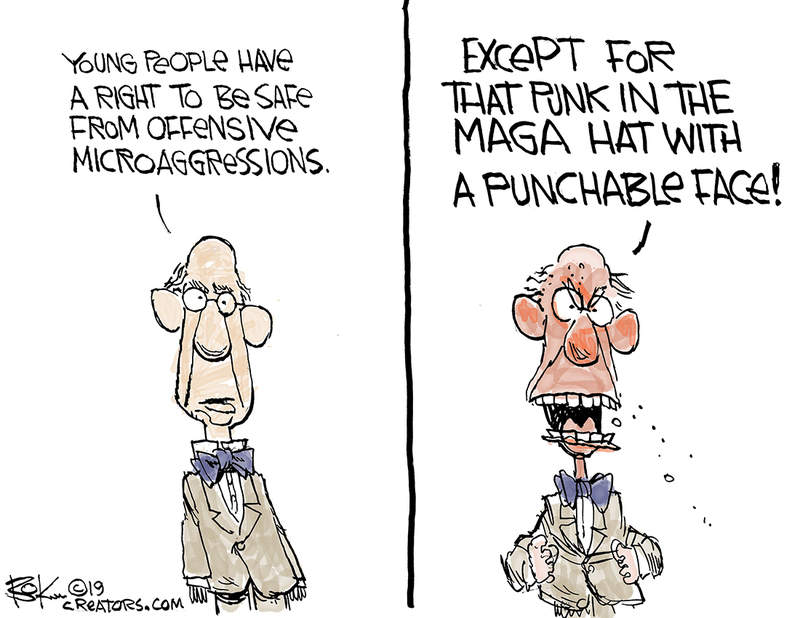 But some on the same side wish to punch a MAGA hat wearing 16 year old boy in the face. The publisher of the popular Sports Illustrated Swimsuit Issue gave its Inspiration of the Year award to Rachael Denhollander. Rachel was the first to accuse Dr. Larry Nasser of sexually abusing her as a young gymnast under his care. And over 150 other other victims came forward to corroborate her story. Here testimony put Dr. Nasser in prison for 175 years. 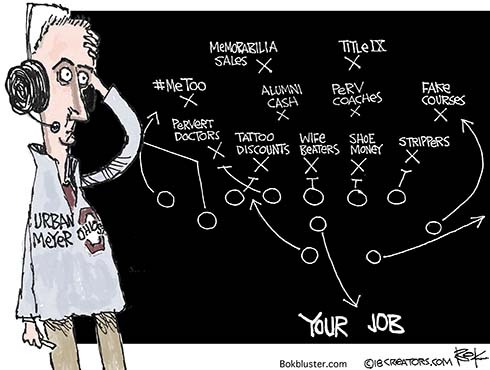 And his employer, Michigan State University, paid $500 million in settlements to 332 victims. Vox has has an in depth story of what happened here. Christine Blasey Ford made a video presentation of the award. She claims to be a victim too. She accused Judge Brett Kavanaugh of molesting her at a high school party. But no one corroborated her story. 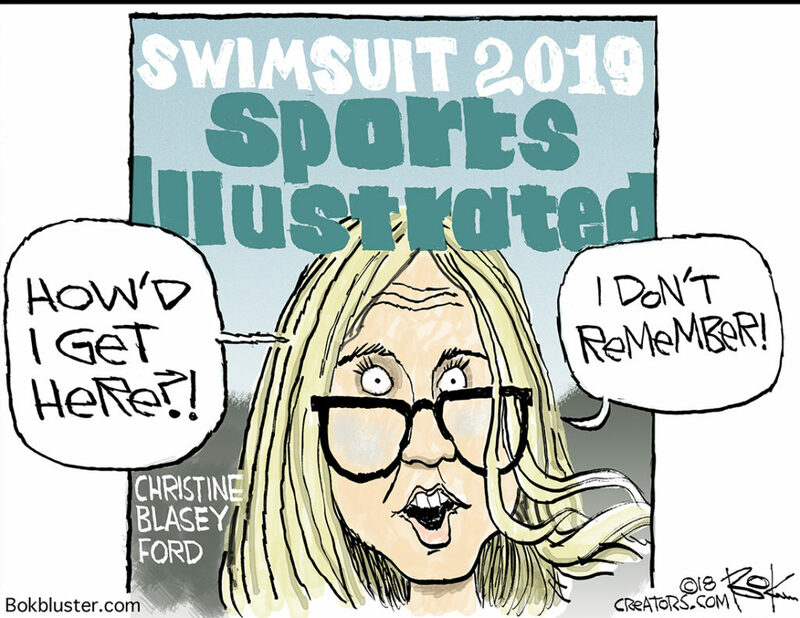 Nor could she remember when or where the alleged assault happened or how she got there or got home. Judge Kavanaugh was put on the U.S. Supreme Court. Ohio State assistant coach Zach Smith stands accused of roughing up his former wife. So Urban Meyer fired him. But that might not be enough. The school suspended Coach Meyer while it investigates whether he took action in a timely fashion. If he didn’t it could cost him his job and $38 million. It wouldn’t be the first time. His predecessor Jim Tressel was fired because some of his players traded trinkets for for tattoos. In a less enlightened time the Dutch got Manhattan for the same stunt. 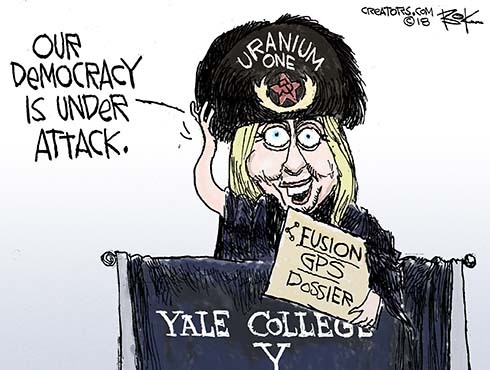 Hillary put on a Russian hat during her Yale class day speech. Students plan to walk out of American high schools on March 24 to march against guns. They feel common sense measures will prevent gun violence. LL Bean, Dicks, Walmart and Kroger seem to agree. 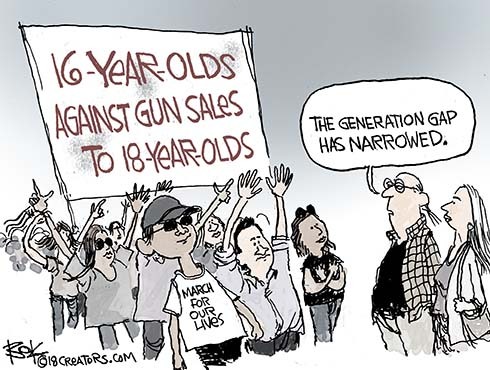 So they’re raising their minimum gun purchase age to 21.